Romeo lived next door to my mother and I first met him in 1992 while home on leave from the Navy. He was the most social cat I ever knew and would greet anyone without hesitation. I moved back to Dallas in 1993 and saw him from time to time while visiting my mother. 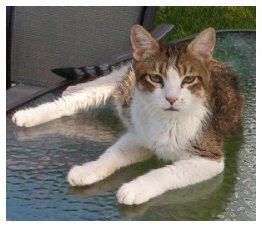 In 1996 he was injured by a dog and his owner refused to take him to a vet. So I did, and he was my cat from that time on. Diagnosed with diabetes in 2003, his health slowly declined until the end on January 7th, 2005. I thank God for the privilege of knowing such an exceptional cat and will miss him forever. and a blessing is lacking in the spirit.